Have you ever noticed how we sort of gloss over things we don't understand? Whether it's out of fear, embarrassment, confusion, or lack of interest, we just skip to the parts we like. I just Googled 'Easter' to find some images for my blog. I found approximately 8,932,522 pictures of eggs and bunnies and candy and a couple pictures of a cross. There's no judgment in this statement, believe me. Because I understand. Most people don't GET Jesus. For a long time, I was one of them. Forget, for a moment that, in our world, His story sounds kind of Grimm's Fairy Tale-ish (not to be confused with Disney Fairy Tale-ish, where Jesus would never have died, only gotten close to death, then transformed into a handsome prince at the last second, leading to an overly expensive wedding with Mary Magdalene and lots of talking wildlife...). 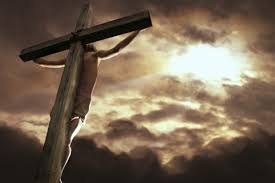 What I'm talking about is the blatant, enduring, unconditional love of someone you can wholly trust, who would never betray you, never fail you, and would remain faithful to you forever, with such a love that He would die a brutal, horrific death just to save YOU. That sounds like something we can't even fathom, so we gloss over it. We go to church at Easter and Christmas because we feel there's something special and different about those two things, but we don't get into deep discussions about grace and faith and the realities of what happened on those days because, in all honesty, we just don't get it. How could I mean so much to someone that they would lay down their life for me? How could I, will all of my faults and failures, be loved wholly and unconditionally for who and what I am? How could someone who knows my past not be derailed by that when they look at me? How could anyone on Earth embrace me at my point of deepest need, lift me up, and give me a clean slate, forgetting all the wrongs I've ever enacted and giving me the strength and courage to press on with the Journey with renewed purpose and joy? Simple. No one on Earth CAN. Most of us aren't great at relationships. Whether it's with our parents who are, in and of themselves, flawed human beings that make mistakes like everyone else, or with our significant others, or with our own children -- we screw up. We exaggerate. We lie. We hide things. We don't tell the whole truth. We don't bare our souls. We're afraid of betrayal. WE betray. We argue. We scar one another with the things we say that we can never take back. We cut each other with our actions when we decide to take the wrong path, or even to take a single step in the wrong direction. We cheat. We neglect. We abuse, emotionally and physically. We've been neglected, or abused, or cheated on. Even something as small as not making eye contact in a conversation can wound us, or someone else. So when it comes to a relationship with God, how do we even know where to begin? We're not good at relationships with humans, so how can we possibly have one with an entity that we can't even see, can't even hear, on a daily basis? An entity that we can't even begin to understand? It's a tentative first step. When you meet a stranger, a new person in your life, how do you go about it? You introduce yourself. "Hi, my name is Stephanie." Then you go about learning things about each other. Where you're from, what you do, what you believe, what your desires and goals are, where you're going in life, what your plan is, what you have in common -- and on, and on, and on. Sometimes, you have a really close, fantastic friendship on your hands right away after that first conversation. Sometimes, you don't click right away or you don't even like the new person but, eventually, they grow on you and become really close. The same is true with God, or Jesus if that's how you prefer to look at it. Forget about the fact that He already knows absolutely everything about you. You don't know everything about Him. You can still go through these steps. Introduce yourself. Talk about your hopes and dreams and goals and plans, about your past, about your passions and your dislikes, about your family, your friends, your community, about what drives you in life, about your fears and your failures, about your current trials and about obstacles you've overcome. Some call it prayer. I like to call it 'conversation'. It doesn't have to be formal, on-your-knees with your head bowed and your eyes closed. Sometimes I talk out loud in my car on the way to the grocery store. Stick a headset on your ears if you're afraid that other drivers will think you're crazypants. Who cares? What matters is that you take that simple first step and just start the conversation. Because what you'll soon realize is, you didn't start the conversation. He's been talking to you your whole life, and you just started listening. The other half of any conversation is exactly that: listening. How can you listen to something or someone you can't hear? Well, how do you learn about anyone in history? You read. Read everything you can. Read the Bible, yes -- but also, read about what other people have to say about Him. Devotionals, editorials, articles, concordances, Facebook posts (shameless plug here for A Journey of Reinvention on Facebook...). Listen to people talk. Ask questions. Visit pastors or churches. Make appointments specifically to ask questions. Talk to friends who believe and find out why, learn their stories. Because everyone has one -- a story, I mean. Every single person on the face of the planet has a story, and we can learn from all of them. That's why we're all here together. That's why it's a community effort. That's why we're on the Journey. Here's what happened -- Jesus became the bearer of all of our sin, all of our failures, all of our rebellion. He said that we are worth so much more than what we give ourselves credit for. He said He loved us with no conditions. We don't have to be a certain color, a certain sexuality, a certain gender, or a certain religion. He said we're good enough for His love no matter what we've done or what we're going to do. He said He was going to provide a way for us to have complete grace, blatant in the face of all that we've messed up or will continue to mess up for the rest of our flawed lives. He said to you, no matter who you are or what you've done, "I love you enough to die for you." Then... 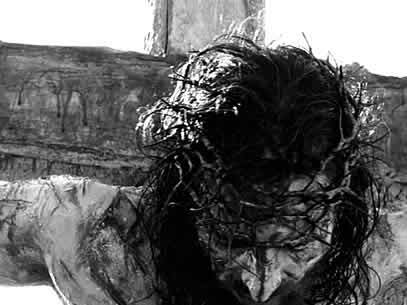 He loved you enough to die for you. He did exactly what He said He'd do. His actions matched His words! He carved out a little slice of Heaven for you to join Him, but He asked you first to join Him here on Earth. To tell other people His story AND your story and to bring that slice of Heaven down here. It's called the Kingdom of God --not a place filled with angels and harps and perfection, but a group of people spreading unconditional love and all of their stories that tie in with HIS story.